Matilda Wormwood is an exquisite and intelligent little girl. 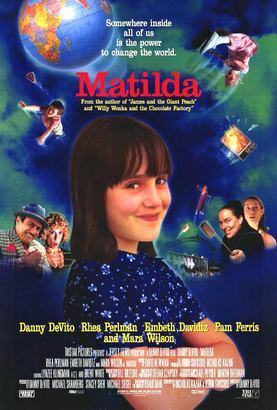 Unfortunately, Matilda is misunderstood by her family because she is very different from their ways of life. As time passes, Matilda finally starts school that has a kindly teacher, loyal friends and a sadistic principal. As she gets fed up with the constant cruelty, Matilda begins to realize that she has a gift of telekinetic powers. After some days of practice, Matilda suddenly turns the tables to stand up to her parents and outwit the principal.